Home > Advice > University > What University Degree Should I Do? What University Degree Should I Do? Knowing what degree you should do at university is a tough decision. Do you choose your strongest subject, or go for one that you've never studied before? Should you do a degree that is career-specific, or choose something more general and keep your options open? In this post, we'll provide you with a list of questions to consider to help you answer the question "What degree should I do?" What is your strongest subject? When it comes to applying to uni, it makes sense to play to your strengths. Why do a degree in biology when physics is your strong suit? 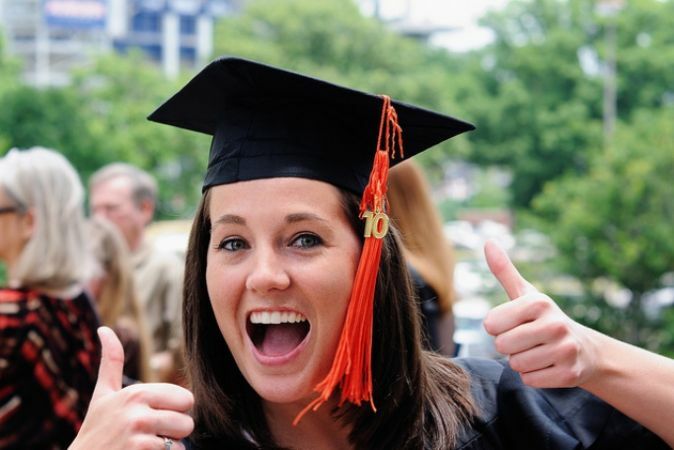 Many students choose their degree based on what they're already good at. If you have a knack for a certain subject at school, there's a strong chance that you'll be good at that subject at university too. Everyone wants to do well in their studies and sometimes university can feel a bit unknown. Sticking to what your good at is certainly a "safe" option when it comes to choosing your degree. Being good in particular subject and enjoying it are two different things. You might be a whizz with computers and get good IT grades, but if you don't have a passion for the subject then you'll soon get bored studying it day in day out. Most degrees in the UK last three years, so before you decide what degree you should do, you need to know that you'll still enjoy the subject three years from now. Even if the subject that you enjoy the most at school isn't necessarily your strongest, don't be put off in considering it as a degree. As long as you have the qualifications you need to be accepted on to the programme, you might find that it's the best option for you. What areas of study particularly interest you? At school, you're somewhat restricted in the subjects that you can study. At university however, there's an abundance of subjects on offer. There may be a subject out there that you've always wanted to study but never had the chance at school. Subjects like sociology and psychology, for example, are always popular degree subjects but not often offered at GCSE or A-level. You should also think about whether there's a certain aspect of a subject that you enjoy, a particular topic for example. If you study English and particularly enjoy reading literature from a certain period, why not consider studying that specific period at university? One thing you'll find with university courses is that there's a range of topics on offer. We know this is BIG question to ask yourself at 16, 17 or 18 but the degree that you do will have some bearing on your career opportunities when you graduate. If you have a specific career in mind, then you can research what degree you should do to work in that field. For example, if you want to be a doctor, you'll definitely need to study medicine at university. If however, you don't have a clue what career you'd like, then it may be better for you to keep your options open by studying a subject that lends itself to several different careers. A degree in English for example, could help you pursue a career in teaching, journalism, management or commercial writing, to name a few. However, we strongly recommend that you think about what career you might like to go into before choosing your degree. After all, you're going to university largely to prepare you for your career, so you need to be sure your degree is taking you in the right direction. And university isn't the only option – a bit of reflection might reveal that a school leaver programme or apprenticeship is a better choice for you. What grades are you predicted? The grades that you get at A-level will have a big influence on the degree you can do. You may have your mind set on a career in engineering for example, but if you don't have the grades and subjects that universities look for, you'll need to explore another option - whether that's a different degree or another route into your chosen career. It's important to carry out some research before you decide what degree you should do, and this includes looking at the entry requirements. It's worth noting that different universities may have different entry requirements for the same degree, so if you don't have the grades to get into one, you should check other universities too. Now you're one step closer to answering the question "What university degree should I do? ", check out our tips on choosing a university. Not Going to Uni: What Other Options Do You Have? What If I Don't Get the Grades I Need For University?